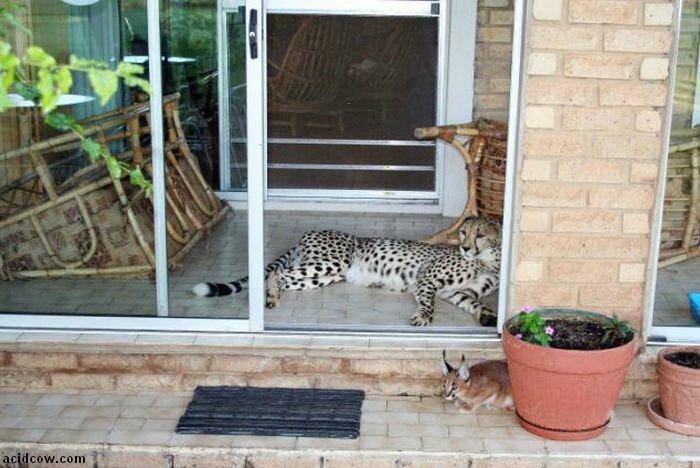 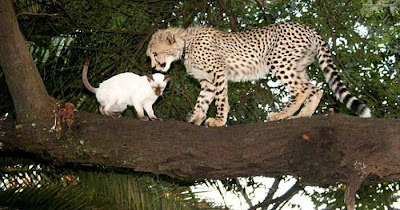 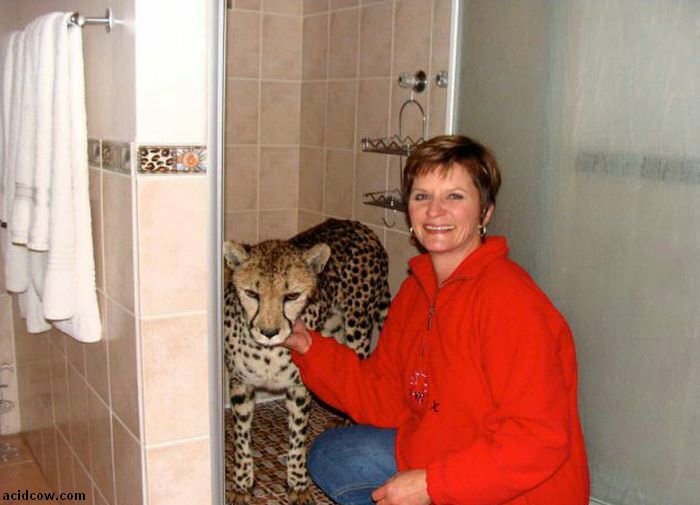 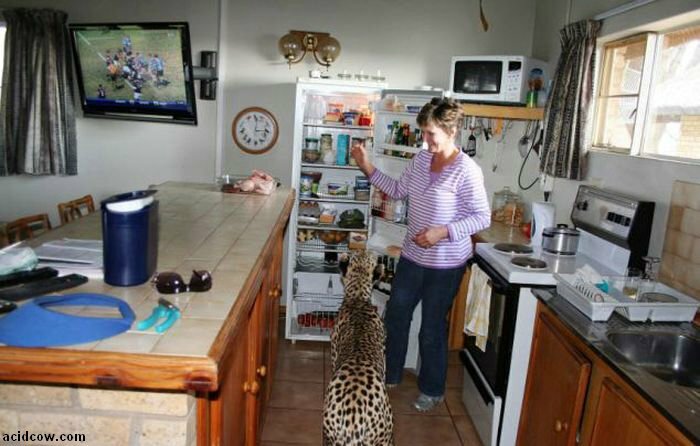 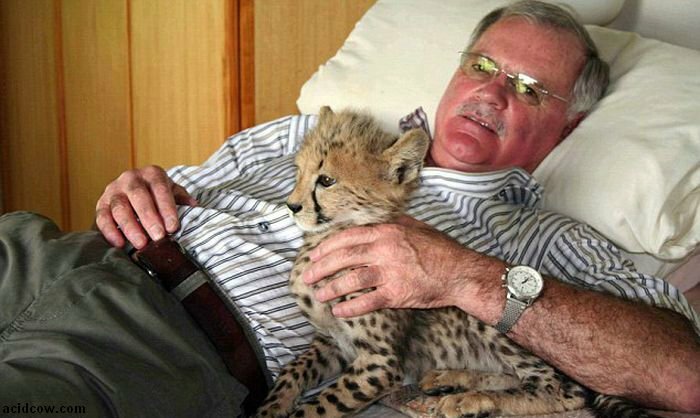 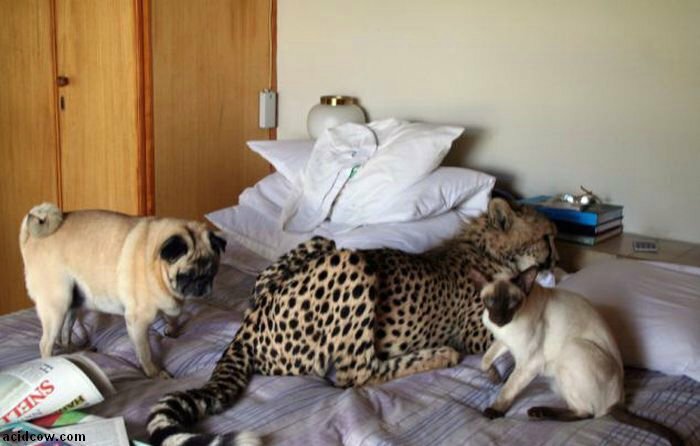 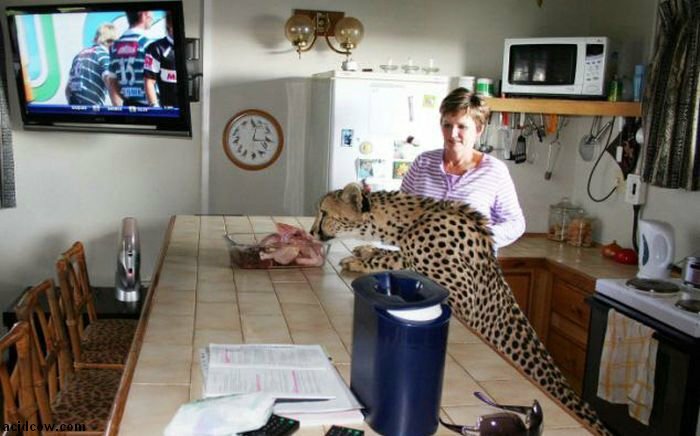 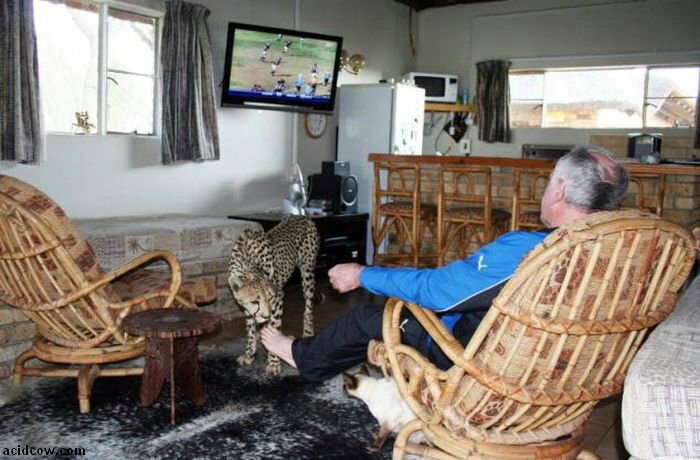 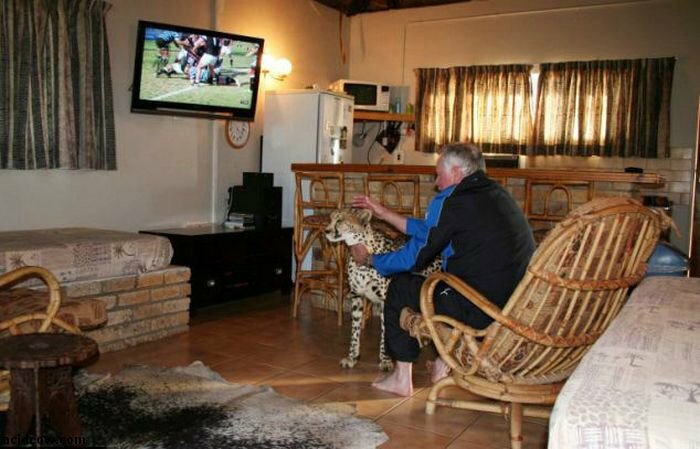 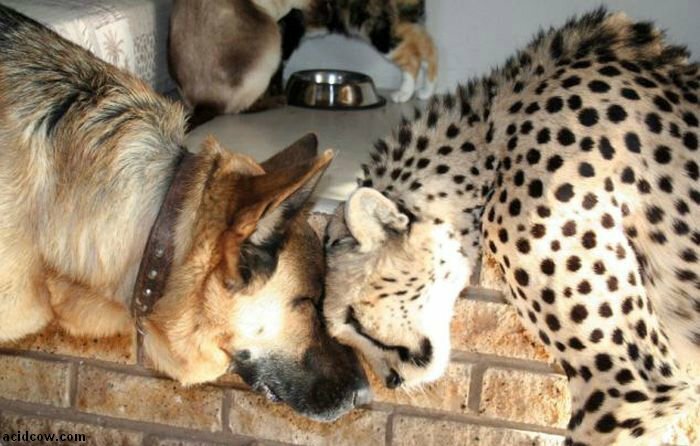 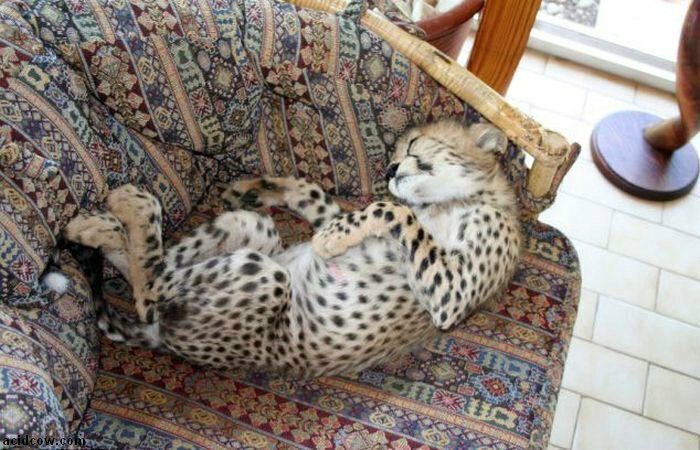 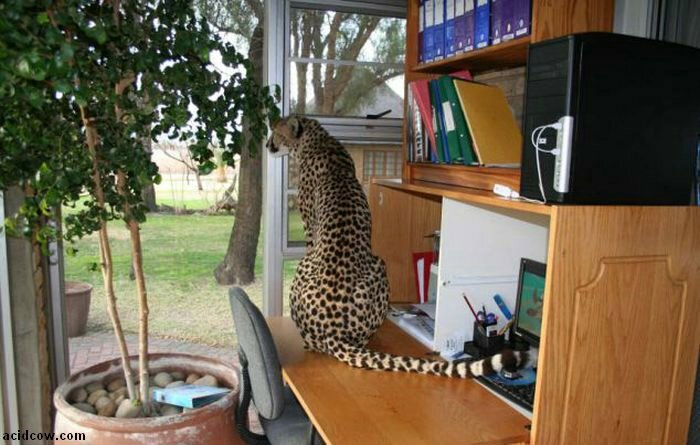 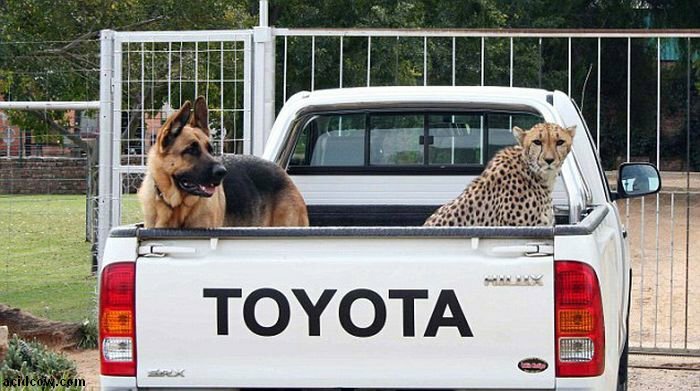 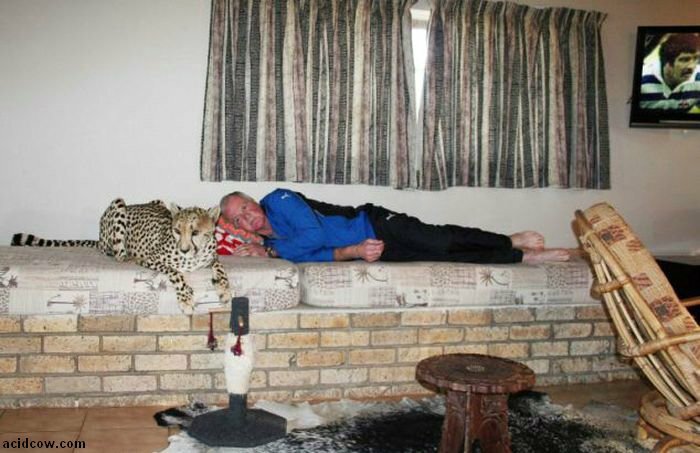 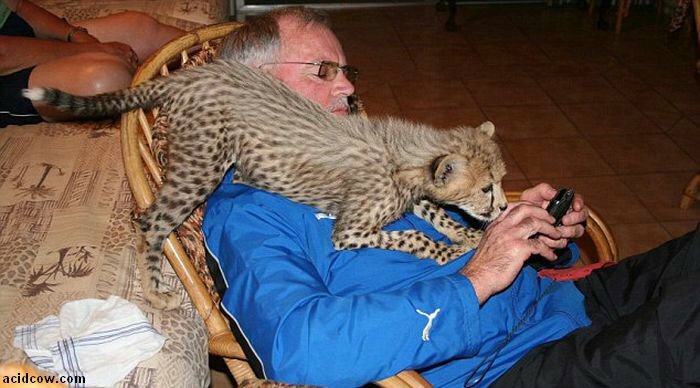 The pet cheetah Jolie lives at the house of Magda and Japie Pienaar in Bloemfontein, South Africa. 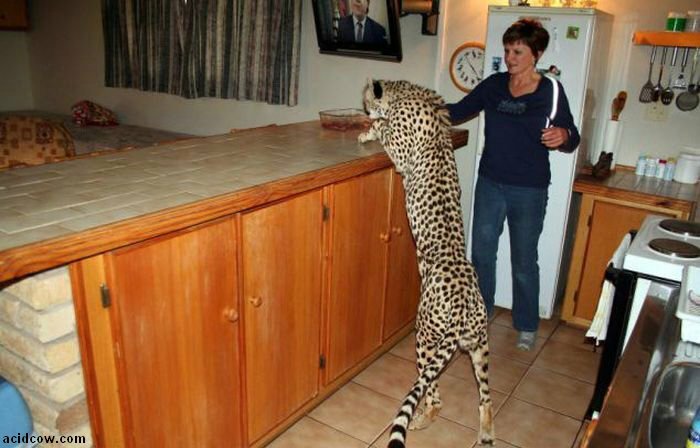 The family bought the animal at the auction four years ago. 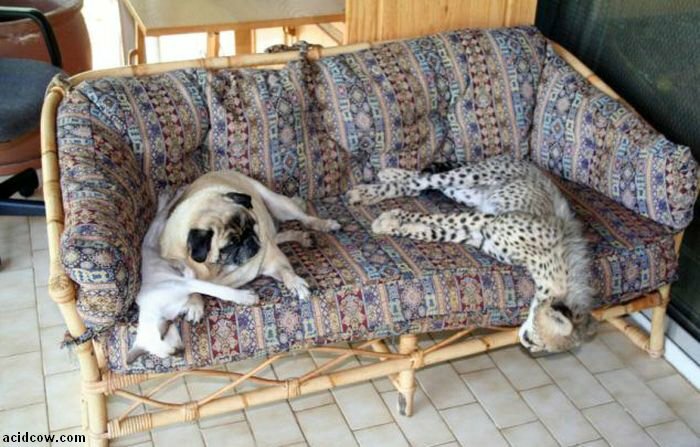 Jolie enjoys snacks from the fridge, plays with local cats and dogs, and her best friend is a German Shepherd called Franky. 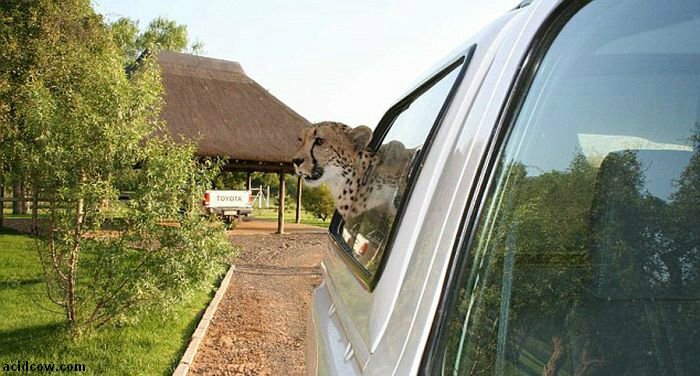 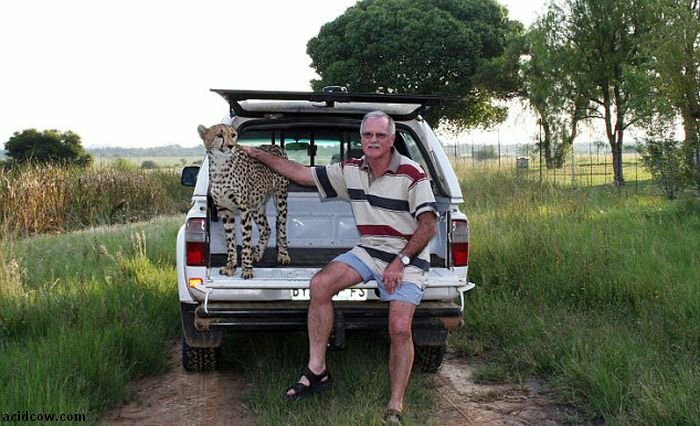 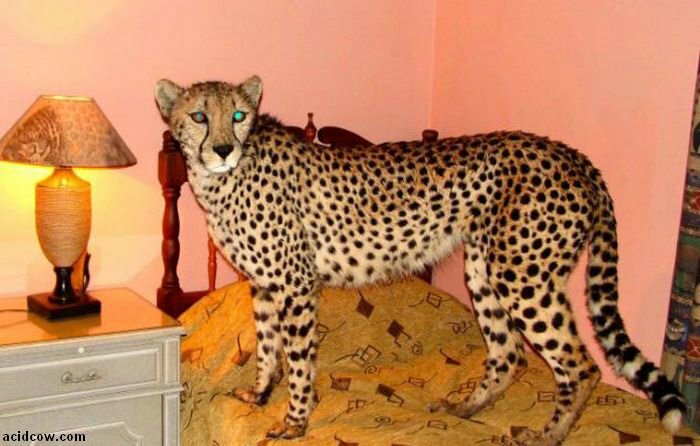 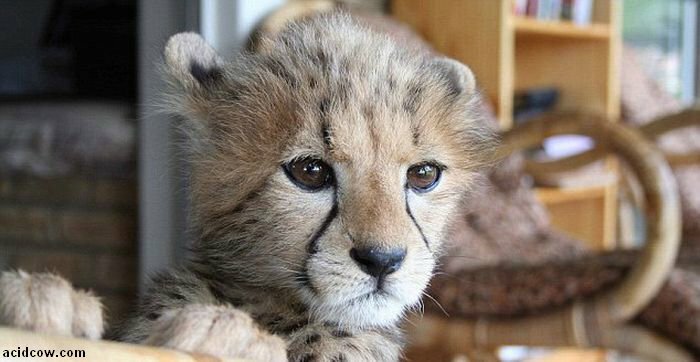 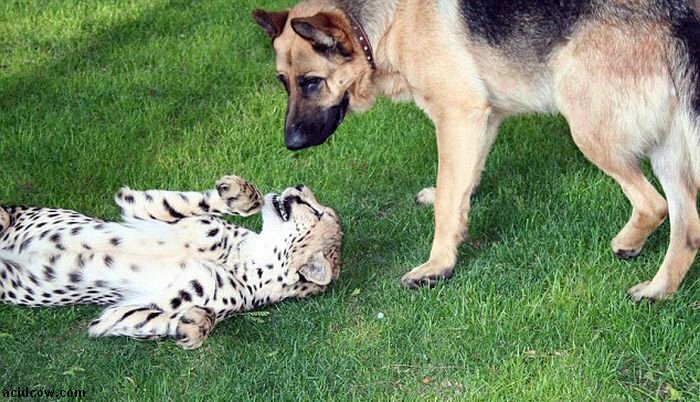 3 responses to "Pet Cheetah Jolie (22 pics)"